One of the quickest and least painful accuracy upgrades to an AR15 is trigger upgrade. The challenge becomes that people tend to go way overboard thinking they need an adjustable trigger to get great performance and so they can “tune” it. The problem is that very very few of us have the talent to actually tune a trigger safely. The other issue is that multi-piece replacement triggers can be a bit tricky to install for the first timer. 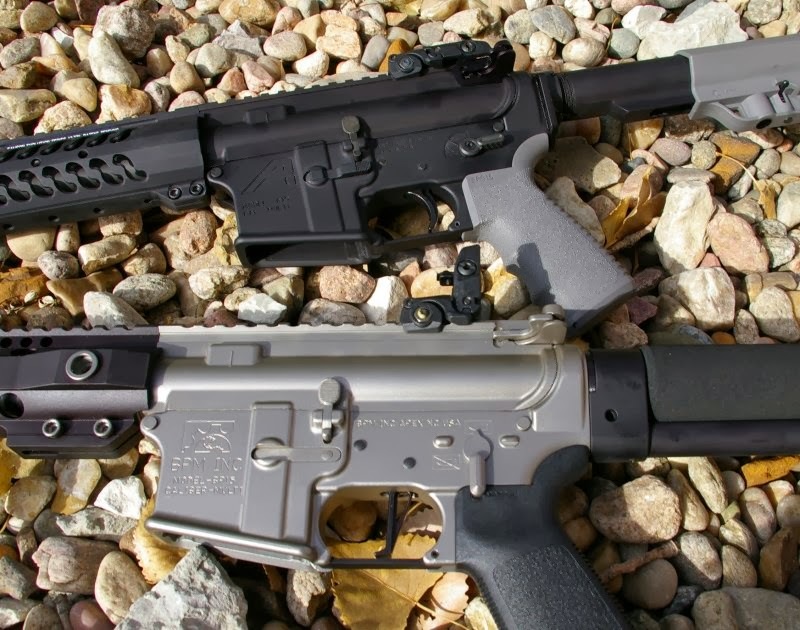 CMC solved these issues with a design that offer defense and military level durability and reliability with a maintenance-free un-tunable design that still delivers one of the best feeling match AR15 triggers on the market. 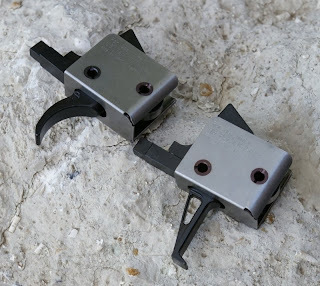 The fit and finish of the CMC triggers are excellent with no sharp or roughly finished edges. What has impressed me is that the entire cartridge/unit is the spec’ed to precisely fit snuggly inside the trigger cavity on the lower. The fit is perfectly tight and after tapping in the oversized retainer pins lock in the trigger rock solid. This wiggle free rock solid mount adds to the accuracy and crispness of the trigger feel. The CMC Triggers are non-adjustable which is a huge plus from my perspective. I will guarantee that if there is an adjustment, someone will attempt to adjust it. The problem is that triggers tuned incorrectly, can cause a huge safety risk. CMC circumvents this issue by delivering a perfectly tuned design what does not allow or require tuning. 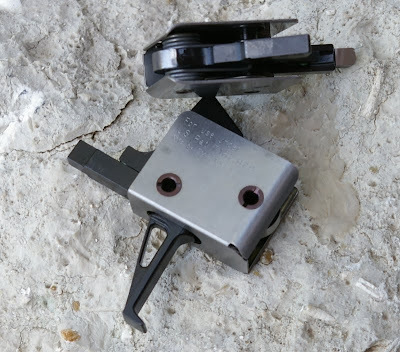 CMC Triggers are famous for durability and safety. Part of that design is due to the screw-less design - which makes the CMC Trigger Unit less prone to damage, loosening, or failure. The self contained and functioning cartridge/trigger-unit based design is also in theory safer than one which pivots on stock trigger pins. Stock trigger pins and placement and be slightly oversized which can lead to slack and wiggle between the hammer and trigger sear. The CMC trigger design is perfectly locked down and aligned inside it’s self contained unit and only uses the retainer pins to lock the trigger unit into the receiver. Front a tolerance perspective, CMC maintains a .001” +- tolerance on every surface. All these little details all add up to a perfectly crisp 3.5lb trigger. Keeping in mind the super pro Camp Perry shooters are limited to 4.5lbs, so 3.5lb is plenty light even for the super picky. The trigger has zero take up and no overtravel. You could get a lighter trigger in a very high dollar adjustable match trigger, however I doubt the trigger crisp feel would be better and I would not want any lighter in a defensive/3Gun competitive focused trigger anyway. The CMC triggers are available with either flat or curved trigger designs. I picked up one of each; the curved is installed in an Aero Precision ambidextrous lower receiver featuring an Anderson Upper, charging handle, BCG, and barrel build with Fortis muzzle brake and Sampson handguard. The flat trigger version was installed in my Robar NP3 coated Barnes Precision Machine Patrolman’s Carbine. Installation was simple and easy which is the cornerstone of the simplicity of the CMC Trigger unit. Simply tap out the stock trigger pins, remove the hammer assembly, remove your pistol grip, selector spring and detent, selector and trigger blade assembly. 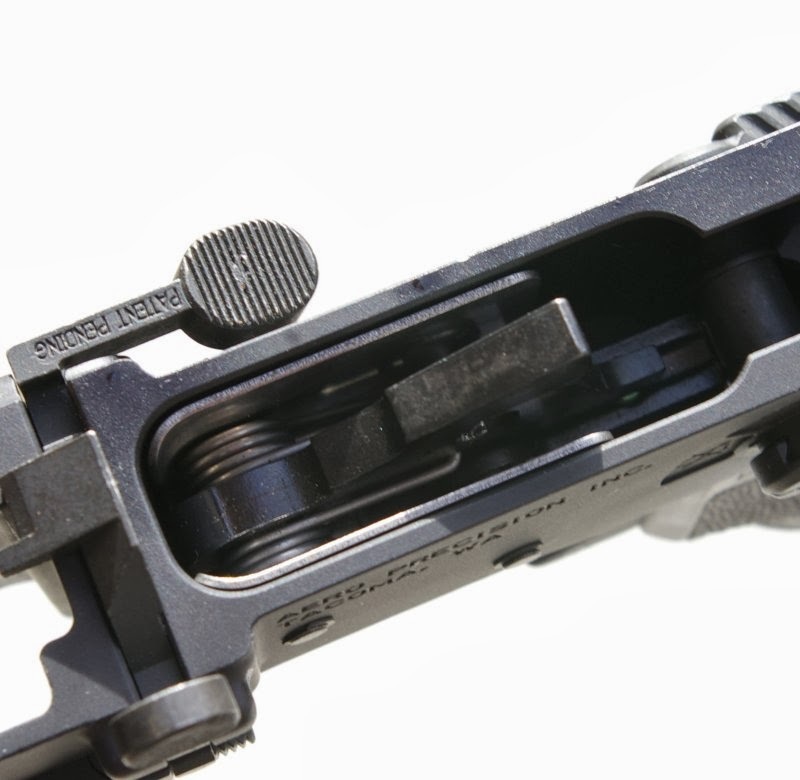 Installation is a lot simpler; drop in the CMC trigger unit, slip in the selector, reinstall the grip, detent and spring and tap in the CMC oversized trigger pins and secure with the anti-walk e-clips. The entire trigger upgrade process takes less than 15 minutes. The CMC Triggers are highly durable, precision and deliver what every shooting is looking for in a crisp match quality trigger. CMC does it for at least $50 less than any other comparable competitor trigger and in some cases for $150 less. 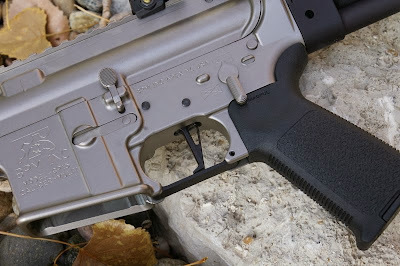 It is a mighty fine trigger design overall however the flat design has really become a favorite of mine on my Barnes Precision AR. It is very fast when moving around during 3Gun style and extremely precision on the bench. Overall this is a great upgrade for the price which can be easily moved if you swap ARs. I gotta know what's your preference CMC or the hiperfire trigger? You have given both great reviews have a favorite between the two? I gotta know what's your preference between the CMC trigger and the hiperfire trigger? They were both reviewed favorably by you have a favorite? That is like asking whether you prefer the Ferrari or Lambo. My preference is the Hyperfine for tenability, however the CMC for a rifle for defense the CMC.